The scheme, founded in 1968 is one of the oldest schemes around and it is also one of the largest. It has had an AA- global credit rating for the past six years and continues to pay Medshield medical benefits on time, all the time. The scheme also has representatives in all of the country’s nine provinces, making it accessible countrywide. Medshield has eight possible medical aid options that accommodate various different lifestyles and budget needs. Standard Benefit Option that incorporates unlimited in-hospital cover through a quality hospital network. At the same time it allows members to manage other medical needs and requirements via a savings account. There is a maternity package in the scheme. Also there is medicine cover for chronic diseases, oncology and wellness benefits, as well as ambulance services. Medshield Core Plus Benefit Option has been designed for young people, and italso offers the same unlimited in-hospital cover, but some procedures are paid at a higher rate. There are some benefits, including ones that relate to chronic medicine, maternity, wellness and oncology, and ambulance services included. The Core Plus scheme does not include day-to-day benefits. MediValue Benefit Option is ideal for young, healthy individuals. It offers fundamental healthcare cover and some “out-of-hospital” cover along with major medical benefits when you go you hospital. There are also maternity, chronic medicine, oncology and wellness benefits, as well as the usual ambulance services. Medshield MediPlus Benefit Option is for middle to upper-income members that want total in-hospital cover via the scheme network, along with other benefits that relate to doctors, dentists, opticians, radiologists, pathologists and other medical specialists. The option does cover standard chronic medicine, maternity, oncology, and wellness benefits. 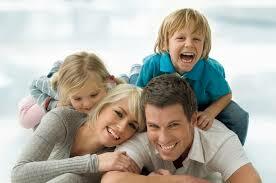 MediBonus Benefit Option is best suited for people who need comprehensive medical cover. Unlimited hospital cover is included through the company’s network of hospitals, and specific in-hospital services are paid at 200 percent of the company’s private tariff rate. There are also comprehensive out-of-hospital benefits including dental as well as those listed above. Medshield Premium Plus Benefit Option has unlimited in-hospital cover that pays at the same higher 200 percent rate as above and allows members to manage their other medical needs using a personal savings account. There are, of course also the full range of other benefits, including chronic medicine. MediPhila Benefit Option is particularly comprehensive, offering both in- and out-of- hospital benefits, wellness benefits, chronic medicine and maternity benefits, and managed care programmes. You can download brochures that explain all the company’s medical aid products from their website. Like all good medical aid schemes in South Africa, Medshield encourages its members to stay fit and healthy by eating well, keeping active and being aware of what it takes to stay healthy.